With those words Ian Fleming created a cocktail that is timelessly cool and extremely easy to make. The ingredients of the brands that Fleming suggests have changed since “Casino Royale” was published in 1953, so below is my updated take. I substitute Plymouth Gin for Gordon’s. Plymouth Gin was first distilled in 1793 and it the sole remaining gin distillery in Plymouth, England. Plymouth Gin has won numerous awards, was a favorite of Winston Churchill’s, and a full review can be found here. Fleming doesn’t call for a specific Vodka in “Casino Royale”, but he does mention that the Vesper would be better still if “you can get a vodka made with grain instead of potatoes,” so I opt for my personal favorite, Chopin Rye. The final ingredient, Kina Lillet a French wine-based aperitif, was unfortunately discontinued in 1986. Kina Lillet was replaced with Lillet Blanc which has a smaller amount of quinine compared with Kina Lillet. Why does it matter? The quinine is what gives the Vesper its distinctive “bite,” think about how tonic water tastes a bit bitter, that’s the quinine! 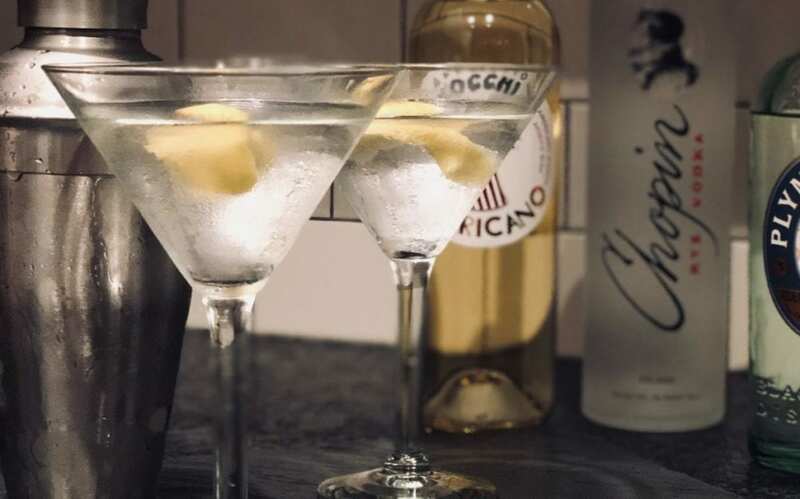 A modern substitute for Kina Lillet is Cocchi Americano (proniced “KOH-kee”) which does contain the all important quinine. So get your shaker ready, slice a thin lemon peel, grab your Bond Girl and drink up; just don’t get behind the wheel of your DB5 afterwards!